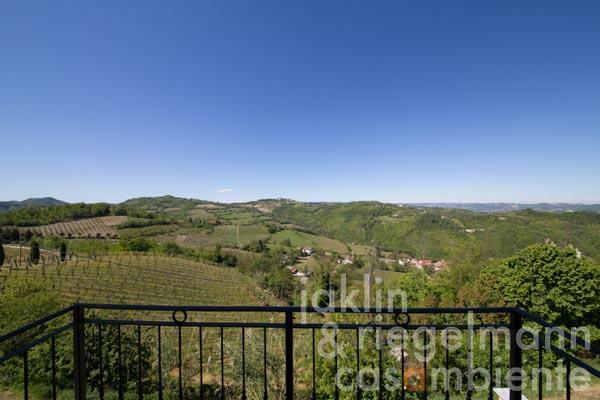 This spacious country estate and winery for sale is located on its own hillside and surrounded by vineyards close to the historic town of Acqui Terme in Piedmont. The property features stunning 360° panoramic views of the surrounding vineyards and towards the Swiss Alps (Monte Rosa) and the Lake Alps (Monviso). The property comprises approx. 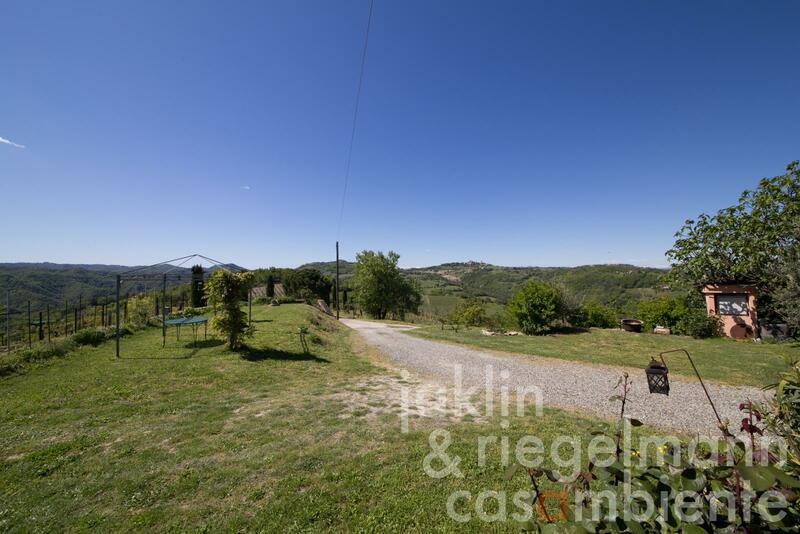 13.7 hectares of land with approx. 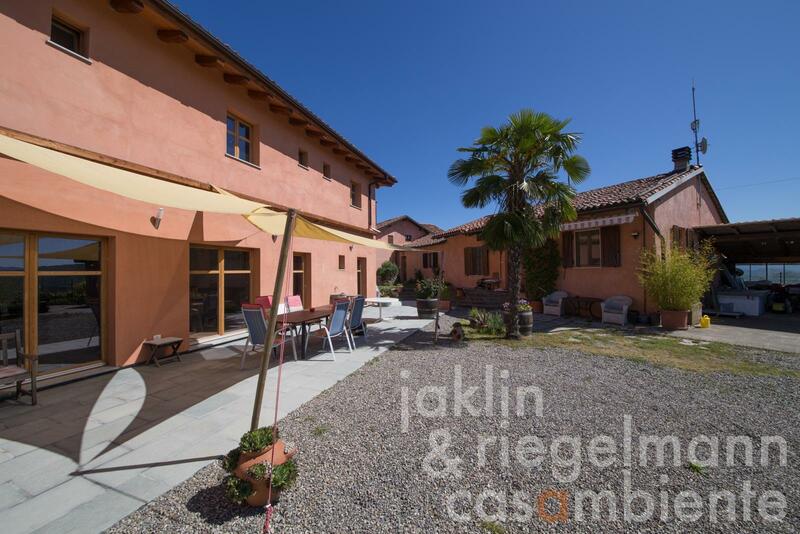 6.3 hectares of vineyards and a well-kept garden with a large pool and automatic irrigation. The property is reached via its own driveway. The estate consists of four buildings: A manor house, a farmhouse, a guesthouse and a large basement with a spacious cellar, storerooms and a garage. The approx. 6.3 hectares of vineyards are terraced. The winery currently produces around 35,000 bottles of wine per year. The grape varieties include Barbera, Dolcetto, Nebbiolo, Merlot, Chardonnay and Sauvignon Blanc. In the manor house with approx. 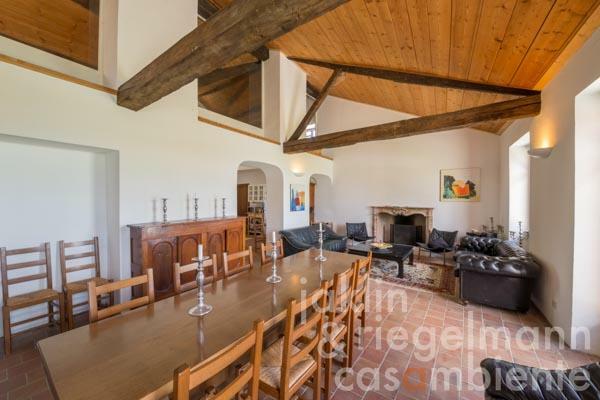 200 m² there is a large living-dining room with fireplace, a kitchen, five bedrooms each with a bathroom as well as a tower room with a bathroom. A spacious portico is also available. Below the approx. 60 m² farmhouse there is a storey with various cellar rooms. The guesthouse with approx. 160 m² is an independent building, which accommodates four guest rooms on the upper floor with en-suite bathrooms. The guest rooms have a contemporary style with high wooden beams and terracotta tiles. All rooms have a large terrace with a view of the extensive green area and swimming pool. This area is perfect for outdoor dining, for an Italian aperitivo or just to relax in the warm sun. On the ground floor of the guesthouse there is a tasting room with its own kitchen. Here you can taste wines and entertain guests. Adjacent to it is an additional room with bathroom. The basement floor with approx. 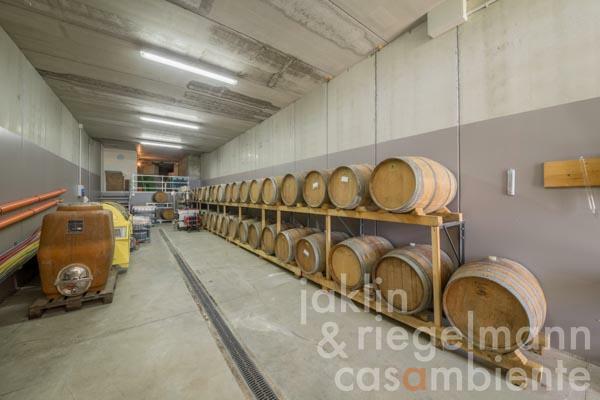 650 m² is occupied by the winery on approx. 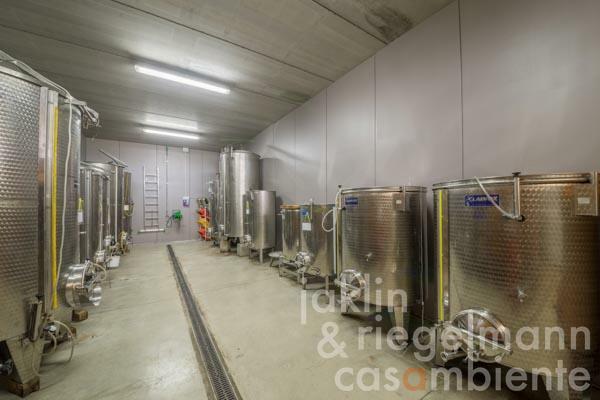 300 m² with modern technology and generous facilities for wine production, bottling room, bottle storage and laboratory. The remaining rooms of the basement are storage and storerooms, workshop and a 75 m² garage for all agricultural machines. Additional information and photos are available on request and will only be disclosed after a confidentiality agreement has been signed. Italy, region Piedmont, province Alessandria, municipality Acqui Terme. 13.76 ha with approx. 6.3 hectares of vineyards. 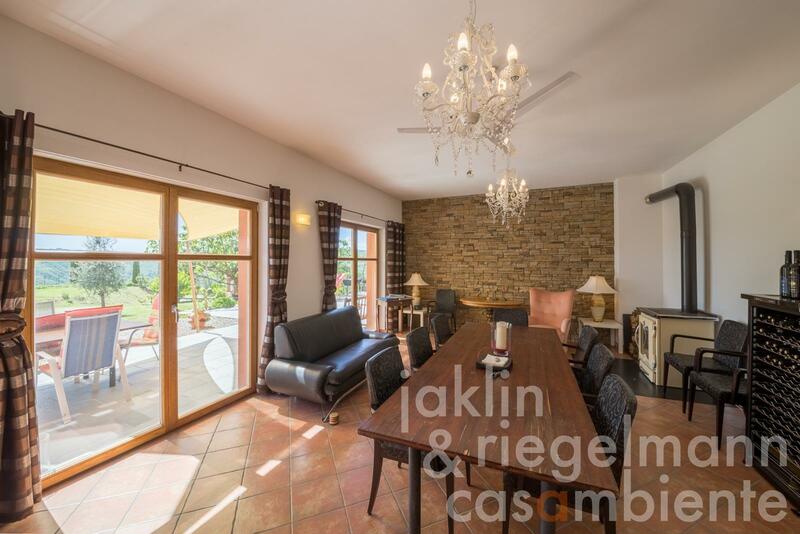 Electricity, mains water, central heating, fireplace, gas tank, telephone, broadband internet access, satellite-TV, irrigation system, swimming pool, balcony, garage, private parking, terrace, vineyard, garden.